Please log in as a Pro member to see the recording of Grisha's July 28, 2015 interview with Louise Ginman below. Topics for questions: Zookeeping, husbandry training (blood draws, nail trimming, etc. ), big carnivore training, pet dog training. Also see the bio info below. 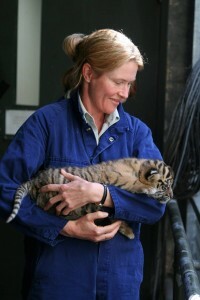 Louise Ginman is the Unit Supervisor of Carnivores at the Taronga Zoo in Sydney, Australia, where she has been instrumental in furthering the field of carnivore husbandry, management and training in Australasia. The Taronga Zoo is a leader in the field in terms of conservation actions for the welfare of animals and in using modern training techniques to work cooperatively with the animals in their care. Louise has been a keeper at Taronga Zoo for over two decades. She began in 1994 in the Zoo’s then Discovery Farm exhibit working with domestic animals including pigs and sheep. After three months she transferred to Carnivores and now is the Unit’s Supervisor. 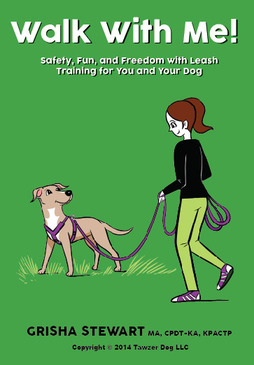 Louise is the author of THE ART OF INTRODUCING DOGS: A GUIDE FOR CONDUCTING DOG-TO-DOG INTRODUCTIONS. Available from Dogwise as a a paperback or eBook and also available from Amazon. 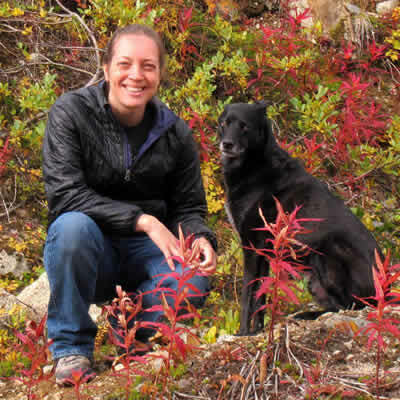 She is also a Delta accredited CGC instructor and dog behavioral trainer. Louise has a Siberian Husky and Shetland Sheepdog and currently competes in rally O and agility with both of her dogs. She is the president of the Association of Pet Dog Trainers in Australia and runs her own training company, Positive Dogs. Louise has been passionate about animals as long as she can remember, surrounding herself with pets of all kinds. After travelling for two years, Louise began working in a Veterinary Hospital learning on the job as much as she could for four years, before applying for the role as keeper at Taronga. The best part of Louise’s job at the zoo is being able to work with a large variety of incredible animals – from the impressive Sumatran Tigers and Kodiak Bears, to the lesser known tiny Fennec Fox and Dholes. The wildest moment of Louise’s career can’t be narrowed down to one single experience. Any day when a baby is born is special for keepers – especially when the breeding success has been a culmination of years of planning, months or years of careful introductions, weeks of preparation and setting up for the birth.